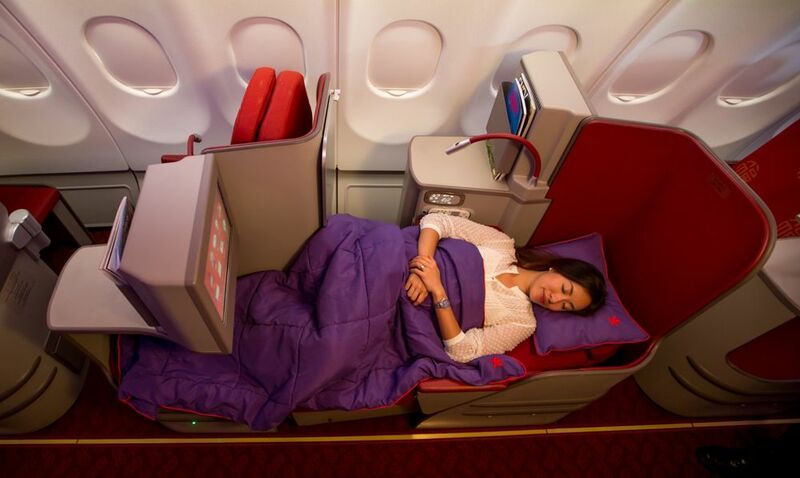 IN BRIEF| Virgin Australia's Chinese partner Hainan Airlines is embarking on a business class upgrade for its new Airbus A330 and Boeing 787-9 fleet. 11 factory-fresh A330-300 jets, due to begin flying this month, will introduce a new business class seat boasting more room than the current A330 cribs. 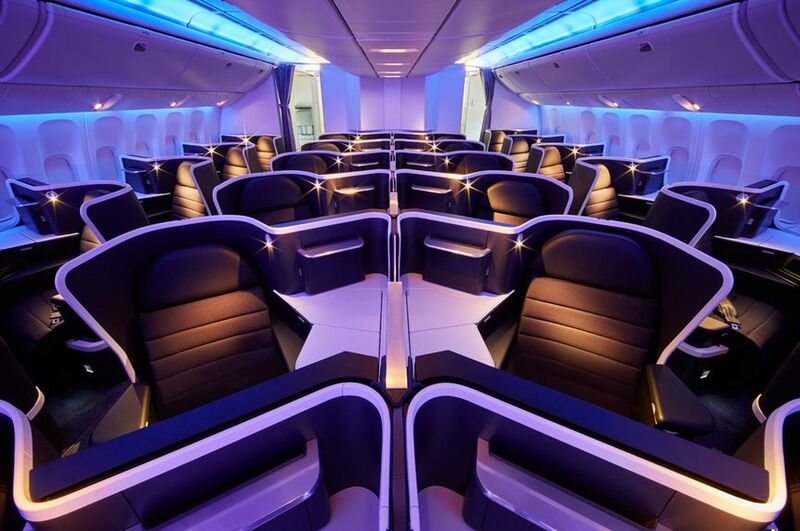 ... as well as Qatar Airways' pre-Qsuite business class. 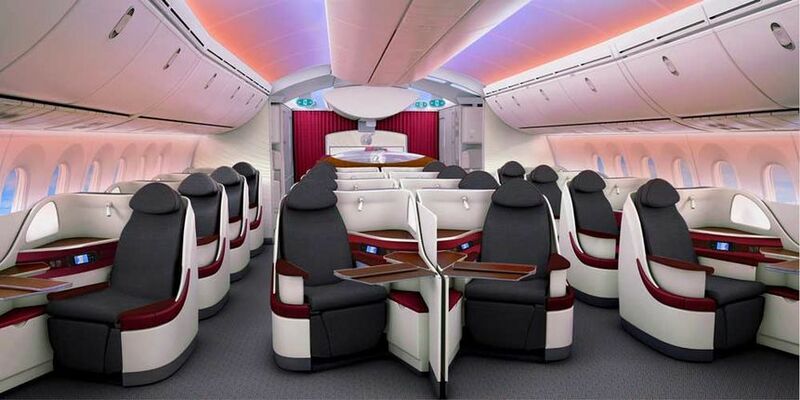 Hainan's colour scheme predictably plays up the red palette which the Chinese associate with happiness, success and good fortune, while the overall cabin also offers consistency with the new Boeing 787-9 business class unveilled earlier this year. 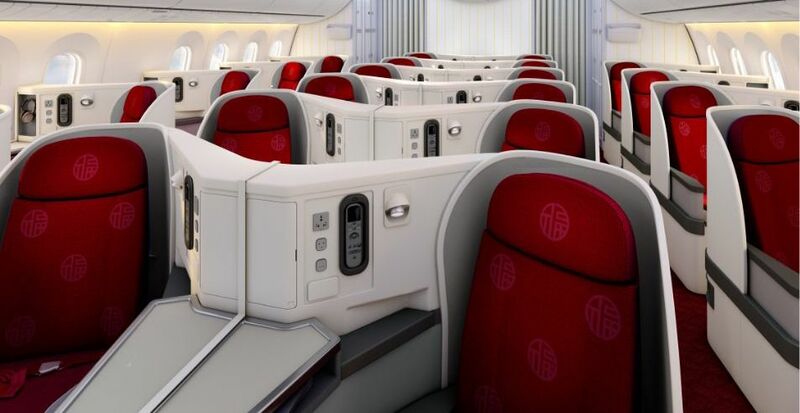 While Hainan Airlines' current Airbus A330-300 business class (shown below) also has a 1-2-1 layout and fully-flat beds, it employs a dated design with less personal space around the seat, while also making it more difficult for passengers next to the window to get to the aisle. The new A330-300 seats also sport a 15.4" video screen and with a 'second screen' controller, and handy storage cubbies under the side table and armrest. Hainan Airlines flies to Sydney, Melbourne and Brisbane, with Cairns to follow in December; members of Virgin Australia's Velocity Frequent Flyer scheme can earn Velocity points and status credits on Hainan Airlines flights. That is a good news.Hainan delivers an outstanding inflight service and is definitely a great company seriously competing with the biggest names in the market. However it is high time they change their hard product on MEL-XIY or even XIY-CDG: to my knowledge they are still running A300-200 on these routes with a 2-2-2 config in business. Are they going to be replaced by the brand new 330 described in this article? Anybody knows? In addition, it would be great if Hainan would allow to check baggage in MEL all the way through the final destination when connecting in Xi'An. 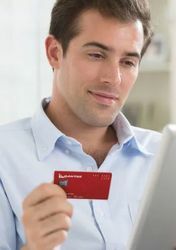 At the moment I am afraid it is not possible and it is a real hassle. 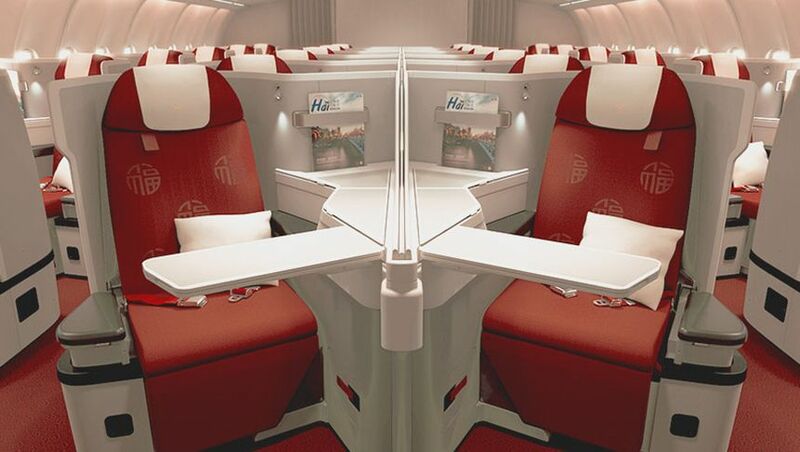 Comment on "New business class for Hainan Airlines' Airbus A330s"